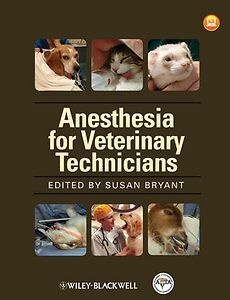 Anesthesia for Veterinary Technicians is a highly practical guide to anesthesia skills for veterinary technicians published in association with the Academy of Veterinary Technician Anesthetists (AVTA). 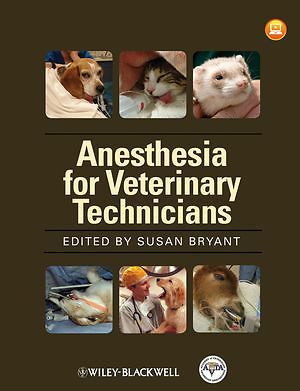 Packed with hints and tips to aid technicians in the practice of veterinary anesthesia, the book offers an essential resource to building anesthesia skills and improving knowledge. Encompassing both background knowledge and practical application of anesthesia-related skills, Anesthesia for Veterinary Technicians is a valuable resource for veterinary technicians of all skill levels. Supplementary website materials, including charts and forms for use in the practice, are available at www.wiley.com/go/bryant.